According to sources familiar with the matter cited by Reuters, the possible merger between SoftBank-owned Sprint and Deutsche Telekom's T-Mobile is under consideration again. To solidify the deal, and potentially ease the progression of the transaction through U.S. regulators, SoftBank is willing to surrender control of Sprint. SoftBank has not started negotiations for the possible blockbuster deal. U.S. Federal Communications Commission rules strictly prohibit discussions of nearly any sort during an open broadcast spectrum auction —which is currently underway, and will conclude in April. "We may buy, we may sell. Maybe a simple merger." said SoftBank Chief Executive Masayoshi Son during the most recent quarterly earnings conference call. 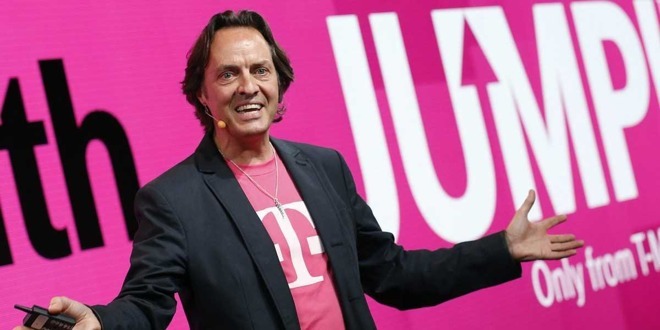 "we may be dealing with T-Mobile, we may be dealing with totally different people, different company,"
Deutsche Telekom, majority owners of T-Mobile, was reportedly open in the summer of 2014 to offers for its U.S. operation for a mostly-cash deal. Discussions were reportedly near-final, with capital ear-marked and financing plans in place for the merger, which would have brought together the third and fourth largest mobile providers in the U.S. In August 2014, following months of rumors and speculation, Sprint dropped the bid for T-Mobile after assessing regulatory hurdles as insurmountable.